Rio Salado President Chris Bustamante took part in an engaging panel discussion about making education more affordable and responsive with PBS NewsHour / Education Week Correspondent Kavitha Cardoza on Oct. 30 at the National Press Club in Washington, D.C. 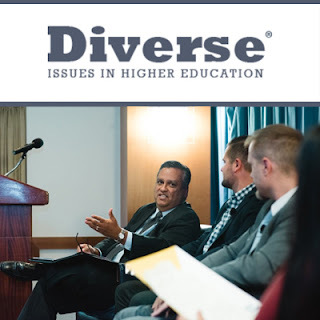 The event was hosted by Higher Learning Advocates to address why the needs of today's student should determine federal policy and not the other way around. This story by Diverse: Issues In Higher Education Reporter Jamaal Abdul-Alim provides a brief on the event and how Higher Learning Advocates is working to improve access and success for nontraditional students.